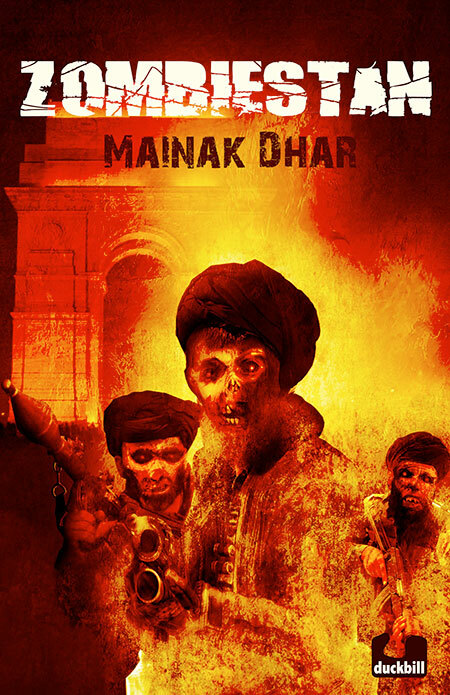 With Zombiestan, Mainak Dhar, bestselling author of Herogiri, adds a morbid dimension to global terrorism with a story that incorporates worldwide pestilence, gun-toting zombies rampaging through Afghan villages, and five unlikely individuals who come together to overcome the odds and fight for survival. You’ve had a rather nomadic childhood, having moved around a considerable lot. How would you say that the exposure has shaped your writing? I think it contributed to my writing in two important ways. Firstly, when you move around so much, you don’t form a lot of lasting friendships and so you learn to depend on yourself and your own imagination. So from an early age, I developed a love of reading, and along the way, that led to a love of writing. Secondly, being a writer requires one to be able to empathise with different characters and situations and my early exposure to very different people and cultures helped shape that. Tell us a little bit about your new novel Zombiestan. How did the idea for the story come about? I’ve always enjoyed dystopian and post-apocalyptic fiction as a reader since it’s fascinating to see how people react when all the norms and rules we take for granted break down. I had always wanted to write in the genre and one day as I was doodling ideas, I scribbled the word Zombiestan. One thing led to another, and I fleshed out the story you see developed into the novel. Did you have a certain target reader in mind when you wrote Zombiestan? Was the book targeted at younger readers? When I was writing it, I was focused on the story I wanted to tell: a tale of adventure set in a post-apocalyptic world, but hopefully with some messages relevant to the real world we live in. With the main characters being teenagers, I certainly had an idea that this would appeal to younger readers. I began talking to my Indian publishers, Duckbill, and they confirmed that this would appeal greatly to young adults. We teamed up to bring Zombiestan to life as one of the first titles in their list. Your aim of writing one book every year is quite ambitious. How do you ensure that you are constantly writing? Do you follow a rigorous writing schedule? As with any other profession, being a professional writer requires above all, discipline. I have a full-time day job and a family, and the same 24 hours a day as anyone else, so I try and fit my writing around the rest of my commitments. A lot of ideation about storylines and characters happens every morning during my hour-long run, and I write every night for about thirty to forty-five minutes. Doesn’t sound like much, but it means about 750-1000 words a day, and if you do it every day, you can have the first draft of a novel [completed] in four or five months. I also travel a fair bit in my job and get a lot of writing done on planes. Who are the authors whose work you enjoy reading the most? Are there any literary influences that have inspired your writing? My all-time favourite author is Tolkien, and what I found really inspirational in his work was his ability to create such a richly detailed world, populated by such wonderfully etched characters. Is it true that talks for a film adaptation of your book Herogiri are currently underway? Are you going to be working on the screenplay for the same? It’s beyond the stage of talks—I’ve signed a contract with the Anil Kapoor Film Company for the movie adaptation of Herogiri and they are now in the pre-production stage. I think it should release later in 2013 and is being produced by Rhea Kapoor. I am not working on the screenplay for it. 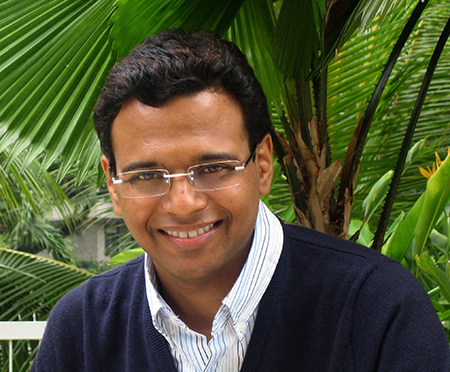 What advice would you offer to young writers in India who are looking to get published? First: read widely and perfect your craft. The best way to become a better writer is to read widely and to practise. Don’t think writing is just about writing one magnum opus. Write articles, blogs, whatever you can, to practise and find your natural passion and style. Second: find your unique voice based on what you truly enjoy writing about and are passionate about. You’ll be a much better writer when you’re writing about things you truly enjoy—too many young writers focus on ‘what will sell’ and what others are writing, which is why we’ve had such a horrible glut of so called ‘campus novels’. You’ll never shine by trying to fit into someone else’s mould—create your own mould based on what you truly like writing about. Third: keep at it. Becoming a published novelist can be a long and frustrating process, and what often differentiates those who create a successful writing career and those who don’t is the sheer doggedness and determination to keep going. I was rejected more than fifty times for my first novel, The Funda of Mix-ology, which went on to become a national bestseller. Are you looking at any new releases in the coming year? The best part of writing is that there’s always something going on. In 2013, my Amazon.com bestselling Alice in Deadland trilogy comes to India—again, courtesy Duckbill—with the first title releasing in January. Click here to purchase Zombiestan. Click here to purchase Herogiri.